The lack of common sense in the world is scary, some may say it is rare like a unicorn or a superpower. This t-shirt says exactky what you think of common sense and it is pretty funny too, on this t-shirt find a large lettered saying of “Common Sense” and underneath in finer print see the saying “So rare, it’s kinda like a superpower”. Made from 100% cotton to give you a durable and soft feeling shirt, available in a wide selection of sizes that range from Small to 6XL and 17 different awesome and fun colors to choose from. 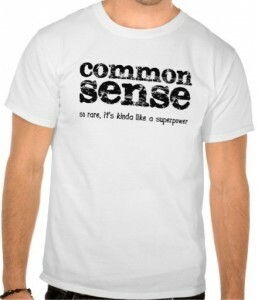 Also check out the many different syles of shirts and hoodies to get the common sense print on.